Our family of 4 (2 sons) stayed in this unit over the Easter holiday weekend and it was perfect. The boys shared a room but each had a double bed instead of the usual twin bed. Both bathrooms were a nice size. The location was our favorite thing as we were directly across from the pool and restaurant at the ocean. Kitchen had everything needed for preparing your own meals. We loved it! Cool weather but clear skies. Being able to see the beach and ocean from the unit were greatly appreciated with the temperatures. We have stayed on Seabrook many times. The Atrium Villas are the perfect location. As always, Seabrook Exclusives was great! We found our condo to be perfectly suited to our needs. The screened in porch is a nice touch, too. Discovered an additional great restaurant, The Wild Mushroom, due to helpful information left for us by the realty company. 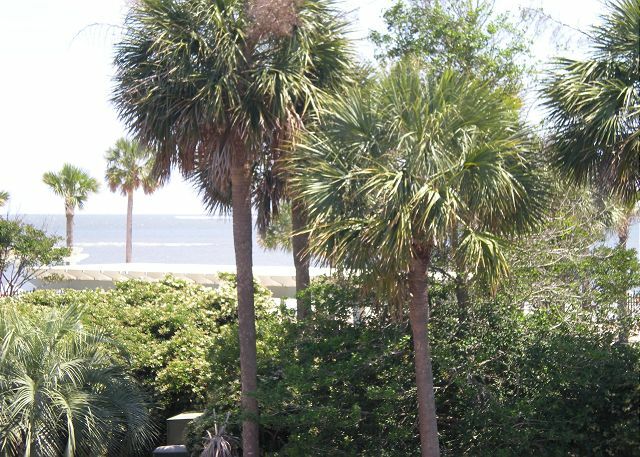 The location is excellent--right across from the beach and next to the golf course. We had what we are always looking for, a very relaxed time near the shore, good seafood, avoidance of Ohio in the cold grip of winter. the management company was superb, very attentive, friendly and always helpful. We rented this villa for my in-laws over Thanksgiving. Great views, comfortable furnishings, accessible for my disabled father-in-law. This is a beautiful villa with all of the amenities neede for a comfortable week at the beach. The villa is in a great location. It is directly across from the pool and the ocean. The screened porch was a hit and enjoyed daily. Beautiful unit in excellent location across from Beach, Pools, Golf Courses and Clubhouse. Quality furnishing, decor, top notch kitchen supplies, linens, etc. One small other reviewers mentioned, it's hard to keep the porch floor clean - had to wear shoes at all times or feet turned black. I couldn't let my young kids play on ground with toys. Maybe some area rugs might help. Otherwise everything was perfect! 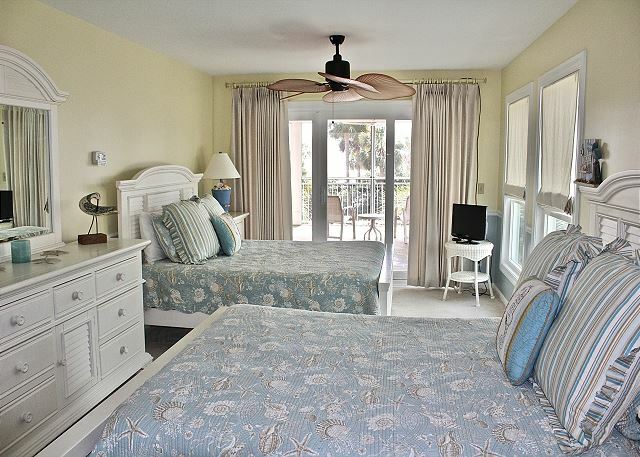 Thank you Seabrook Exclusives for being a superb Vacation Rental Company from start to finish. The condo itself was very clean and updated nicely. Cleanliness is very important to me so I was pleased. The only issues were the cable in the spare room never worked and the blinds in the spare room did not work well. I would also recommend a king size bed in the master since there is plenty of unused room. 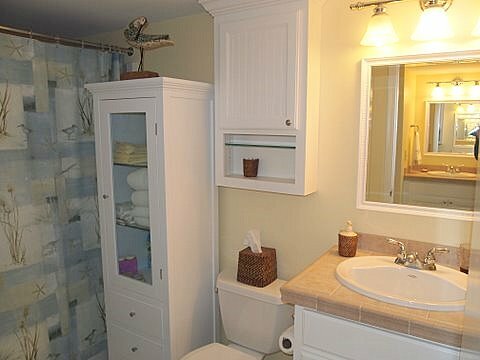 Master bath and closet were great! My only disappointment on the island was the beach and ocean. No beach except during low tide and no waves. Because of this we will most likely not return. We did enjoy the Beach Club, Bohicket Marina and the beauty of Seabrook. I would definitely recommend this condo if you don't care about the beach. Thank you very much for your stay with us! I am sorry we experienced unusually high tides during your stay. The beach to the left of the area in front of the Atrium villas still enjoyed beach throughout the week. It was just in front of your area that we had limited beach during high tide. The cable issue was resolved in the bedroom. It required Comcast to run a new line to the building on that side. We truly value your stay and hope we may assist you with a stay again in the future! We appreciated the superior customer service provided by the Seabrook Exclusives staff and loved the huge deck and ocean view. Our villa was in the perfect location. The ocean, pool, golf course, arcade and restaurant were steps away from our villa. 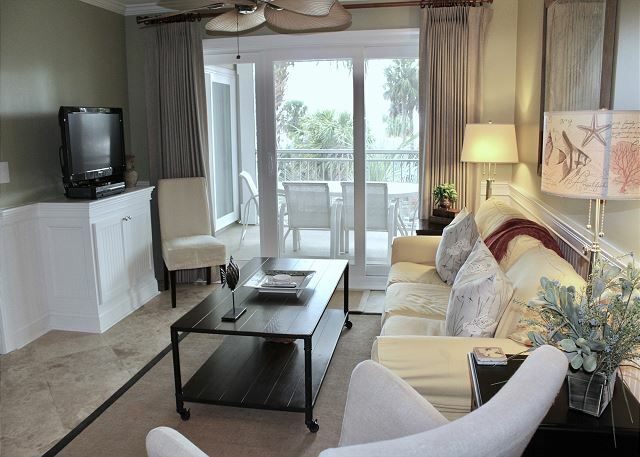 The setting of Seabrook island is gorgeous and all amenities were nice and convenient. We thoroughly enjoyed our trip. 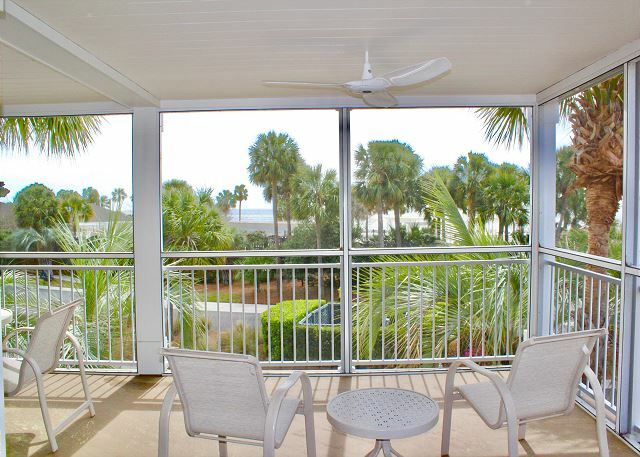 The unit is a beautifully appointed, convenient condo with an expansive covered deck. The deck was our favorite spot as the view was lovely and the ocean breeze constant. The major drawback is that this corner unit overlooks the club's noisy pool and the entrance to the garage below the facility and thus was always quite noisy. We LOVED our time at 2939 Atrium. The entire experience couldn't have been better. 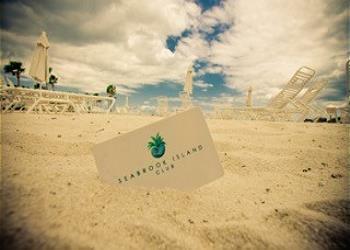 The Seabrook Exclusives staff treated us like friends even before we arrived. I had several questions prior to arrival and they were happy to assist. The villa was IMMACULATE. The kitchen was fully stocked (no cookie sheet though). The location was perfect. Just close enough to the club and beach and far enough away from the pool that you didn't hear the crowds. Food on the island was fantastic. Spent a week and we had intended to go to Charleston for dinners, but there were plenty of good restaurants on the island. We never did make it to Charleston! I highly recommend a stay here! the location and condo was perfect for us. We could not have asked for anything more. Close to the pool, beach, golf course. beautiful setting and biking on the road was like biking in a residential area. Only word to sescribe is FANTASTIC. Great location and a beautiful unit. Almost perfect vacation, as long as apartment above is empty. This would have been perfect, except for the first week, when there were people above us who sounded like a herd of elephants walking around and keeping us awake at night. My daughter, son-in-law, and their three daughters visit every week during their Spring break and I've arranged a variety of vacation rentals for them throughout the years and this was one of the best. It was a great location for biking, the beach, The pool,and "deer hunting". This unit was especially nice because of the large porch which was not visible from other porches. Great vacation in beautiful surrounding. Condo we stayed at was beautifully decorated and had everything we needed. 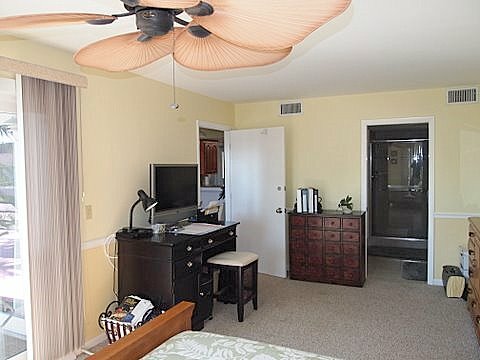 It was nice spacious condo with wonderful big porch with views of the ocean, just yards away from pool and clubhouse. The only negative thing I can say about condo was its dryer doesn't work very well, it took 3 cycles to dry anything and we couldn't operate oven, because we couldn't lock the door and oven would shut off, if door wasn't locked. Otherwise everything was perfect and island itself is just wonderful. The villa was splendid. 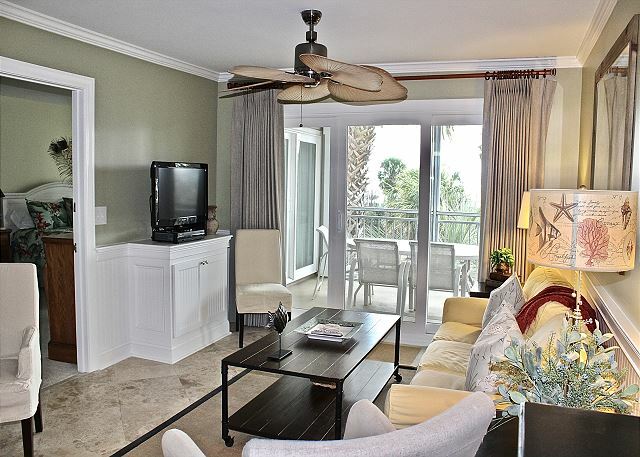 The views were amazing from this corner unit with views of the ocean and golf course. It was quiet and clean. The beach was relaxing, the pool area great , the golf courses were spectacular. Our seventeen year old used the gym facilities and was pleased with what was available. Had not stayed in Atrium Villas before. Great location for a summer visit. Right across the street from ocean, pools and restaurant. While we arrived right at 4pm crew was stilling cleaning and maybe we rushed them because unit was not that clean. Despite that if you want summertime convenience to everything, you cant beat the location. My husband and I enjoyed a 3 night stay at Atrium Villa 2939 in August 2015. The rooms were clean and well-decorated. We had beach club,ocean and golf course views from the large wrap-around terrace. The villa was exceptionally comfortable, clean, and well-appointed. Seabrook Exclusives was very professional as the rental company, and made us feel like we were their top priority. private,well appointed and fantastic scenery. Walked on a deserted beach with dolphins swimming along side, rode bikes and went to well appointed gym. Had great fresh seafood and vegtable. We will mame this an annual trip and look to buy. 2939 Atrium Villa is beautfully decorated, clean and in a perfect location with a beautiful, peaceful view. The deck was a large wrap around deck. 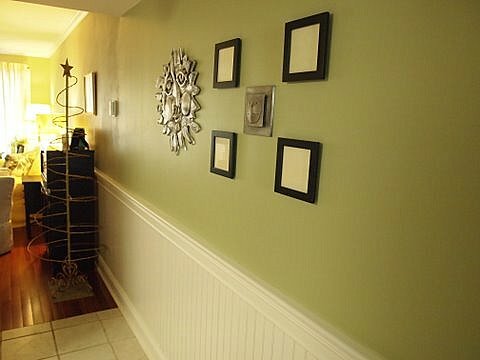 Loved being on that specific corner (wouldn't want to be on the other end of the Villas) as it was one flight up the stairs and right there for ease in packing/unpacking. Only downside to being on the bottom floor is the noise from renters above. VERY loud at all times of the day and night. Fantastic property, will rent again, highly recommend this villa! This is a 5-Star property. Very well appointed Villa, high quality furnishings and linens, perfect location, amazing wrap-around patio with high-end Tropitone furniture. Beds, linens, and bathrooms are very comfortable. 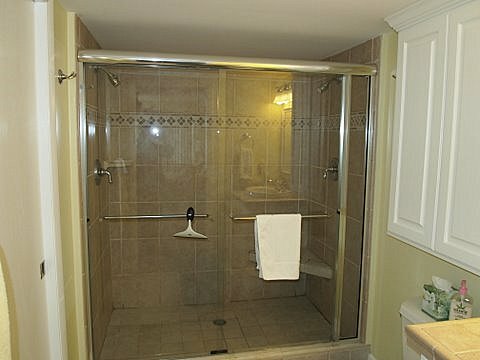 Double walk-in shower in Master bedroom is delightful. Huge walk-in closet in Master stowed all the luggage to keep the unit tidy. Everything you could want is here. Very easy and quick access to the beach and to the pools, restaurant and bar. Beach house provides towel service. Restaurant and bar offer wide variety of menu items and everything we we ordered was delicious. Saw amazing wildlife every day. I make it a point to go somewhere different for each vacation, but I have to say that I would absolutely come and stay at 2939 Atrium Villa in Seabrook Island again, it was that special and memorable. Great but a very cold week! We came to Seabrook Island for the week before Easter of 2013 (the last week of March) ... Though the resort was perfect in every way the weather did not agree with us at all (40s and 50s). So it was way too cold to be on the beach ... You cannot win them all!! !